Gift for cat lovers. Original Painting of cat portrait. Framed. Cat Paint ideal for cats lovers. Framed Flame Portrait. Original painting on wood of a flame. Perfect for animal lovers. Ogirinal work framed. Framed female eye. Acrylic paint on female eye wood. Perfect for art lovers. Original small-format work. Original painting on wood. Framed male eye. 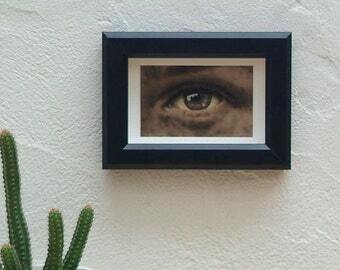 Original work framed by the male eye. Original small-format work. Original framed painting, acrylic on female eye wood, oval frame painting, Woman's Eye in golden Mark, original work. Beautiful female eye in golden oval frame. Original painting on Framed wood. Perfect for vintage lovers. 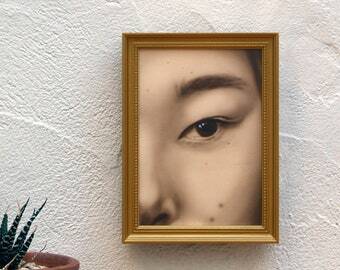 Original work acrylic on wood, close up of female eye, small format art, acrylic painting framed in vintage gilded mark. Original Framed owl painting. Acrylic paint on wood. Owl painting for animal lovers and nature. Woman's eye, woman's eye painting, framed original painting, original work with sash, eye box, Woman's eyes, original painting. Woman's eye, framed female eye, woman's painting, Woman's eye painting, framed painting, framed picture, decorative picture. Todo excelente. Muchas gracias. Compraré más. Original acrylic work on wood. Chimpanzee Close-up. Todos las obras a la venta son piezas únicas firmadas y datadas en reverso, enmarcadas en marcos recuperados.